I decided today that April is going to be Family Game Month! For this special month, I will be giving away several different classic family games--for example, Monopoly, Connect 4 and Battleship. 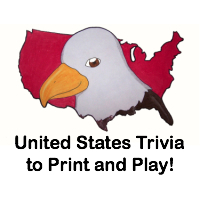 I'll have at least one game given away per week, and some games will have multiple winners! 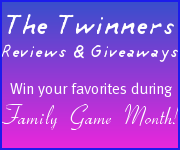 Start getting excited now, because you can get 3 extra entries into EACH giveaway by adding my Family Game Month badge to your blog. The code is on the left side bar. Once you have it added, comment here so I can keep track of who has it and who doesn't. If you add it on April 1st or later, you only get 1 extra entry, so do it today! Good luck, and don't forget to enter the Samsung Q2 Giveaway while you're here! P.S. I'm always accepting sponsors, so if you have something you would like me to giveaway and/or review (for Family Game Month or any time), email me!